Prices and fuel economy figures are not yet known. So what’s up with the rest of the Lexus lineup this year? Perhaps most important, all 2011 Lexus gas models will receive a standard new brake override system as an additional measure of consumer confidence. The braking system enhancement will automatically reduce engine power when the brake pedal and the accelerator pedal are applied simultaneously under certain driving conditions. 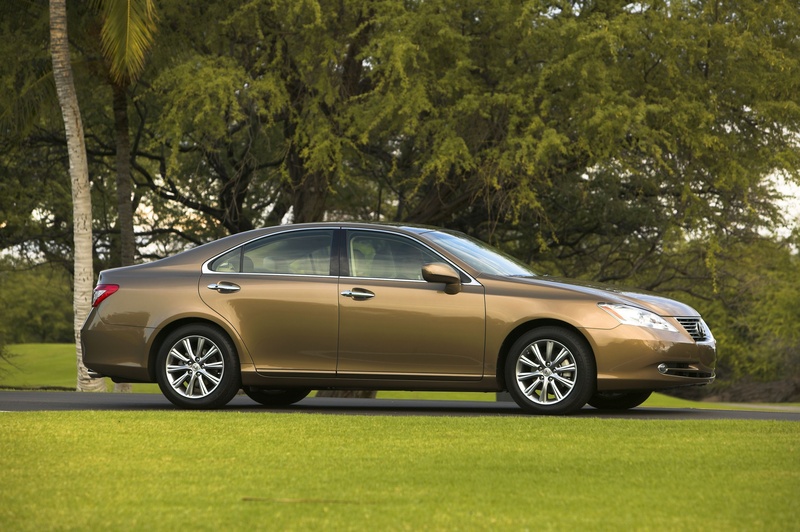 IS 350 Until now, it was the IS series that carried the Lexus brand into younger, livelier territory. This series also has Lexus’ only convertible. The big change for this year for the IS 350 is the addition of a 306-horsepower all-wheel drive (AWD) model. IS enthusiasts will now have the traction and grip of all-wheel drive with the IS 350’s higher performance capability. New HID headlamps with LED daytime running lamps are standard on the IS 350 and available for the IS 250. In addition, a new front grille and bumper highlight the IS sedans, while at the rear, it sports a new taillamp cover and revised tailpipe design. The IS models will also feature newly designed 17-inch and optional 18-inch wheels, along with revised exterior choices. A new F Sport Package for the IS 250/350 rear-wheel drive (RWD) models will have special suspension tuning and 18-inch alloy wheels with a dark super-chrome finish. The F Sport package also includes a front lip spoiler and rear deck spoiler, a matching dark chrome front grille insert, F Sport badging, and the addition of Ultrasonic Blue Mica to the exterior colors. For the interior, unique front seats feature a special microfiber insert and leather side bolsters to provide grip for the driver and passenger during cornering and F Sport badging to the steering wheel. LS series In most people’s minds, this is the Lexus that most people think of when you mention the brand. In keeping with the company’s policy of making refinements whenever possible, the LS 460 suspension has been modified for all-wheel drive models, which will now have standard coil suspension for comfortable everyday driving and optional air suspension systems to give drivers the chance to adjust for their current driving situations. ES series The ES has been getting a lot of new competition and pressure from new to the field brands like Buick’s fabulous LaCrosse, and soon, Chrysler’s all new 300 and of course, Hyundai’s Genesis. For that reason it would be unwise to sit on its laurels. 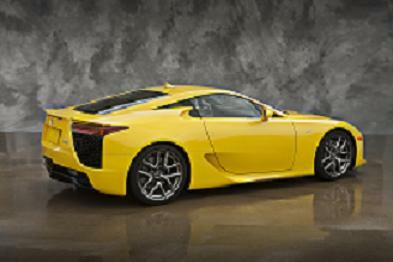 And that’s just what Lexus intends not to do. Instead they are adding some changes likely to be welcomed by consumers in these tough times. Owners of the ES 350 will enjoy a few more dollars in their pockets with a change from 91-octane to 87 octane gasoline. The ES 350 will receive an EPA fuel economy estimate of 19 miles per gallon in the city and 27 on the highway. A new exterior color, Deep Sea Mica, replaces Black Sapphire Pearl. GS series It’s a quiet year for the GS series. The year 2010 brought some changes, but the main one for 2011 is the standard a brake override system. The braking system enhancement will automatically reduce engine power when the brake pedal and the accelerator pedal are applied simultaneously under certain driving conditions. The GS gas luxury sport sedan comes in three models - GS 350 rear-wheel drive (RWD), GS 350 all-wheel drive (AWD) and GS 460 RWD. Optimized for low internal friction, the GS 350's 3.5-liter V6 engine produces 303 horsepower at 6,200 rpm and 274 lb.-ft. of peak torque at 3,600 rpm. A direct fuel-injection system provides much finer fuel-mixture control to improve both power and fuel efficiency. Dual Variable Valve Timing with intelligence (VVT-i) acts on both intake and exhaust valves to further enhance performance through a wide rpm range. A smooth-shifting six-speed transmission allows sequential shifting when desired. 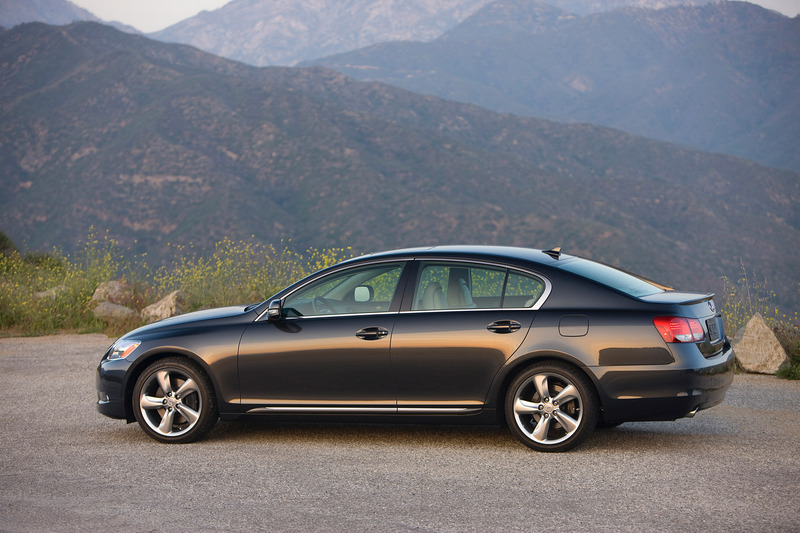 The GS 460's V8 produces 342 horsepower at 6,400 rpm and 339 lb.-ft. of peak torque at 4,100 rpm. 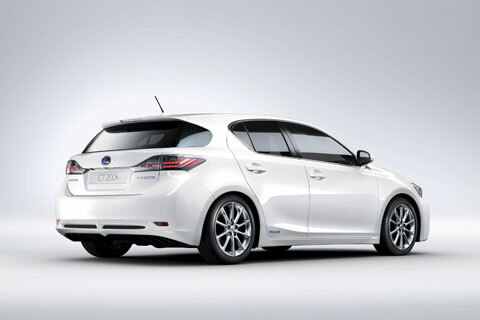 The GS 460, like the GS 350, meets the EPA's Ultra Low Emission Vehicle (ULEV-II) certification. 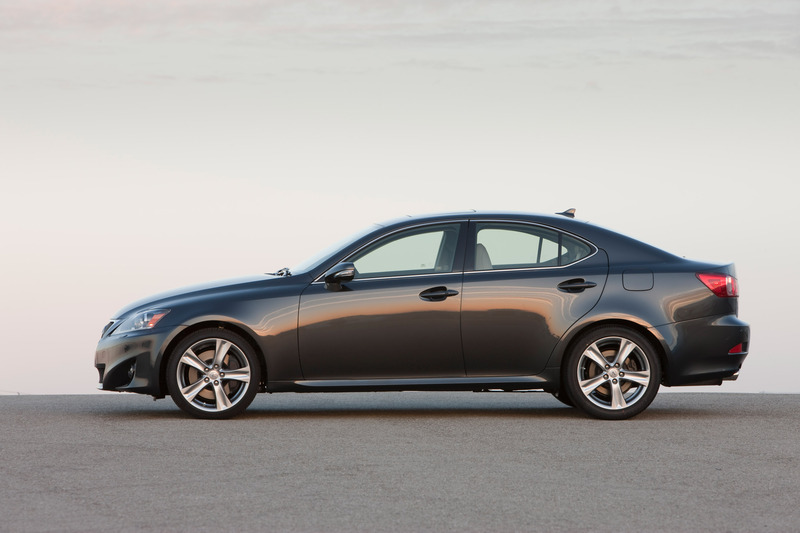 Lexus has been setting standards for powertrain smoothness since its inception, and the GS 460's V8 and eight-speed automatic transmission continue that tradition. The transmission, like the six-speed automatic in the GS 350 models, allows manual shifting for a more engaging driving experience, and helps to maximize performance in certain driving situations. 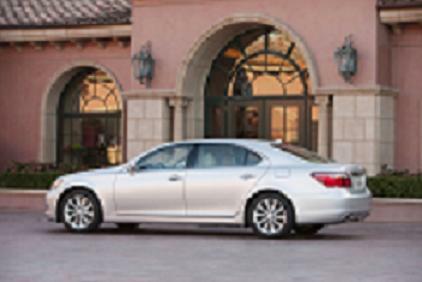 The GS 460 can accelerate from zero to 60 mph in 5.4 seconds, the GS 350 in 5.7 (5.8 for AWD). 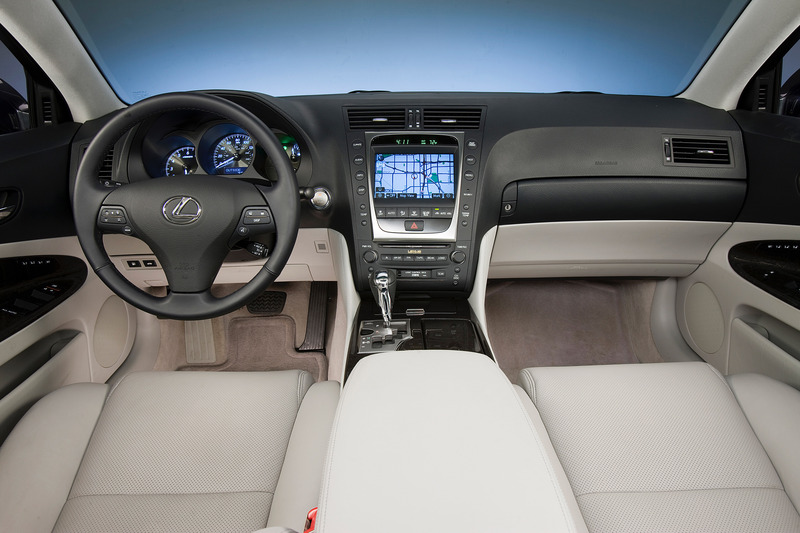 RX350 The 2011RX 350 receives standard a brake override system as an additional measure of consumer confidence. The braking system enhancement will automatically reduce engine power when the brake pedal and the accelerator pedal are applied simultaneously under certain driving conditions. New exterior colors are offered to complement the RX 350’s refinement. Satin Cashmere Mica replaces Golden Almond Metallic. Stargazer Black is added to the palette, while Truffle Mica and Black Sapphire Pearl are discontinued. The Lexus RX 350 teams a 3.5-liter V6 engine with a six-speed Multi-Mode Automatic Transmission for an output of 275 horsepower at 6,200 rpm.